Comparison shoppers represent the ultimate challenge for ecommerce value proposition: If you can sell to them, you can sell to anyone. These consumers are the antithesis of impulse shoppers: They make thoughtful, well-researched purchasing decisions, and look for online stores that will give them ample insight and information before they click add to cart. Catering to these shoppers can give your online store a boost well beyond a single purchase. Studies have shown comparison shoppers value the convenience of using competitive pricing comparison tools on product pages and are even more likely to return to those retailers that offer such information. To successfully appeal to comparison shoppers, you need to put yourself in their shoes. The following tips will help you think like a comparison shopper and optimize your store to meet their needs. Comparison shoppers are willing to set aside familiar brands and preconceived notions digging into the details to find out which product will truly satisfy their needs. That's great news if you sell smaller brands or unique offerings, because comparison shoppers start with an open mind and look for objective rankings and guides to help settle on a specific product. Merchant strategy: Provide the rankings and guides that comparison shoppers crave, drawing from your own inventory options. For instance, if you sell backpacking gear, you could craft a "best of" guide to stocking the perfect campsite. Likewise, adding a "top seller" list to your site or overlay stickers on certain products shows an informal endorsement from other shoppers. As tempting as it is to sweep the bad reviews under the rug, doing so will tarnish customer trust. Comparison shoppers relish the good, the bad and the ugly in product reviews. While an impulse shopper might skim to see if a product got at least three stars, a comparison shopper is more likely to read all 74 customer comments to find out exactly why the five-star and one-star reviews received their respective grades. Merchant strategy: Offer a product review engine, and encourage customers to leave feedback. A whopping 88 percent of consumers trust online reviews as much as they trust a personal recommendation. This is an area where more is better; 50 or more reviews per product can mean a 4.6 percent bump in your conversion rate, according to Reevoo. Showing at least a handful of reviews for each product also makes it more likely a comparison shopper will identify with one of the reviewers and follow through on the purchase. Just keep in mind: As tempting as it might be to sweep the bad reviews under the rug, doing so will tarnish the trust consumers have in your brand. In a brick-and-mortar store, test-driving a product can be as easy as picking it up or reading the box. Since this option isn't available to online stores, you need to find creative solutions to reassure customers about your products. Merchant strategy: Product videos can help comparison shoppers feel like they know exactly how a product will function, from how big it is when held in someone's hands to how clunky or smooth it operates. 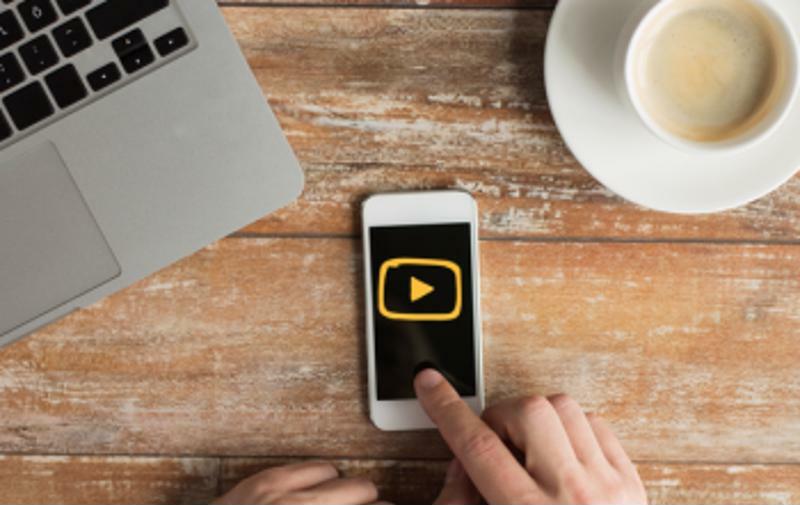 When Advanced Auto Parts started offering videos on its site, for instance, clicks and time on site doubled for people who viewed a video compared to those who didn't. Beyond the camera lens, scrutinize your product descriptions to see if there are opportunities to offer more product details and full specifications so comparison shoppers can trust they're getting just as much info as if they were looking at the product's packaging in a brick-and-mortar store. Videos can go a long way toward putting comparison shoppers at ease. Comparison shoppers factor in return return policies, warranties and shipping info as part and parcel of a purchases. That's why once they've settled on a given product just isn't enough: You need to sell them on your store. Merchant strategy: Create customer-friendly policies that will set you apart from the pack. In a survey of online shoppers, two-thirds of respondents said they view a retailer's return policy before making a purchase, with 82 percent claiming free turn shipping as a determining factor. Of course, those customer-friendly policies won't snag you many customers unless you make them known to visitors. Display any offers for free shipping or easy returns prominently on your site—before customers are at checkout. During busy return seasons, such as around Christmas, you should also promote these policies in your broader marketing efforts, including in newsletters and ad campaigns.